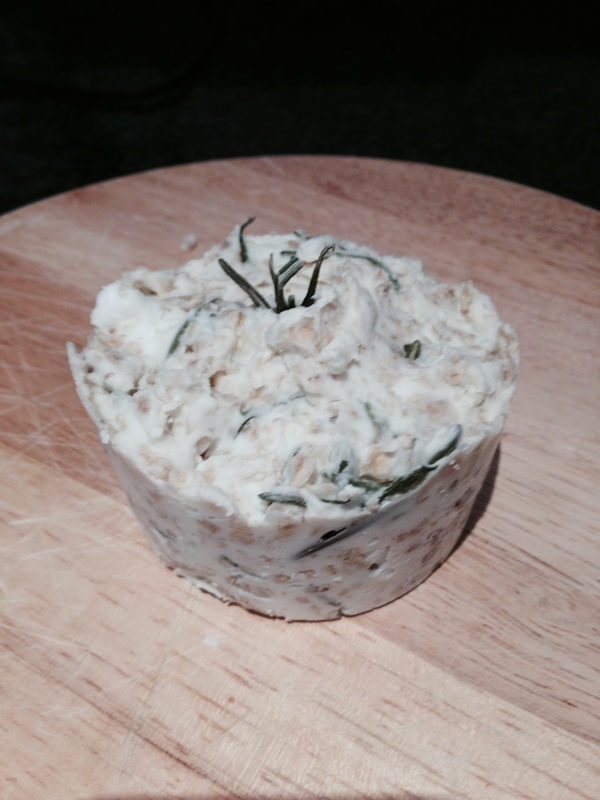 DIY rosemary soap - a great cheat to making your own soap! The last handmade soaps that I made were for my sister in law who loves a bit of girly glitz so she got the pretty flowery soaps. 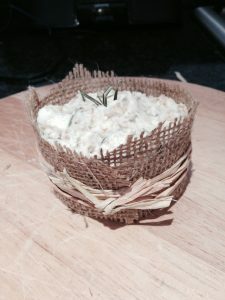 My mum however loves things that are natural and ethereal so I decided to go with rosemary to scent my soaps and give them a natural look. 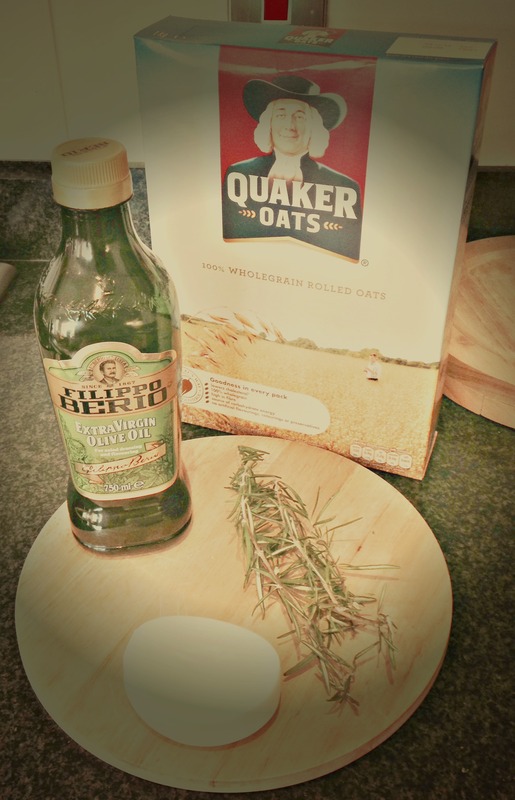 Quakers oats – although any kind of oats would do! 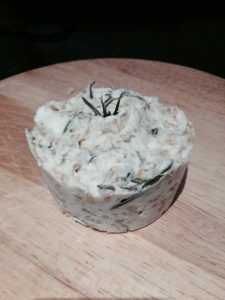 Now I’m in no way claiming that I make my soap from scratch, why would I when there is this simple and easy ‘cheat’ to doing it! Simply cut up the bar of soap into smaller pieces, this makes it quicker to melt down and ensures that the consistency is even. Then pop it in a saucepan on a low heat and add some boiling water. 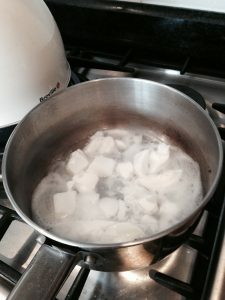 As you know I don’t do measurements so just add enough to touch all of the soap, not too much and not too little – it’s just to help the soap to melt quicker and get a good consistency! Add in some oil, I poured it straight from the bottle but I’d say it was around 1-2 tablespoons! This helps to hold the soap together and keep your hands lovely and smooth when you use it! Then pour in some oats, as much or as little as you’d like depending on how much of an exfoliant you want the soap to be! I used about 2 tablespoons worth. Don’t forget to pop in some rosemary too! It’ll give the soap a lovely aroma and makes it look very earthy! 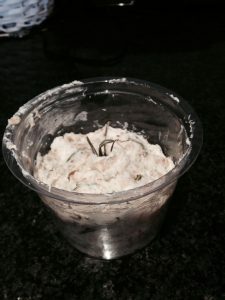 Then just pop it into a container, last time I used silicon cake moulds but this time I used a plastic cup. I also added a couple of bits of rosemary on top for decoration …. pretty huh!? Then I left it out for a few hours, depending on the size of it depends on how long you’ll need to leave it, but to speed up the process once it’s cooled down pop it into the fridge! I added this post to the #binkylinky for newbie bloggers! 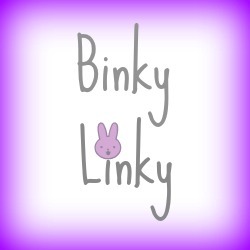 Why not add yours too by clicking on the #binkylinky below! Amazing I’d love to see the crystals! Will check out your pinterest, is your blog link on there? Ooh I’d love that! Big fan of lush 🙂 Give it a go, it’s so easy using a bar of soap already, bit of a cheat but oh well! Really inventive. You could use all kinds of things to scent the soap!